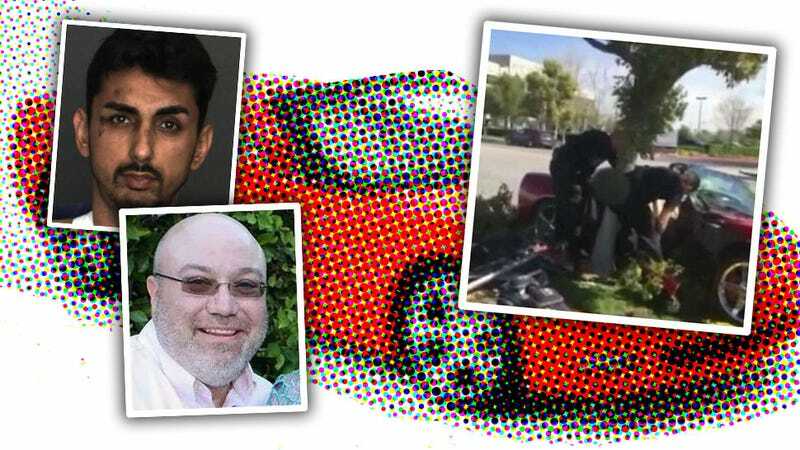 A CarMax employee, 43 year-old Warren Smale, was killed when the Corvette being test-driven by 28 year-old Alex Demetro crashed into a tree on Tuesday, at a CarMax dealership in Ontario, California. According to KTLA, the ‘Vette hit speeds up to 70 mph before the crash, and the test-crasher was arrested on charges of vehicular manslaughter and driving under the influence of drugs. The LA Times reports Demetro is being held on $100,000 bail in a San Bernardino County jail. A number of co-workers gathered at the crash site Tuesday night, where they remembered Smale as fun-loving and full of life. Kerissa Schartner heard the crash and went outside, where she saw Smale still in the passenger seat and Demetro sitting on the ground holding his shoulder. “I think he was probably shocked,” Kerissa Schartner said. It’s easy to forget that people who sell cars actually do place their lives in random stranger’s hands when they go for test drives. Normally, to the non-drug-addled-idiot population, this isn’t a problem, but it is tragic to see someone die so senselessly when that trust is breached. Whether or not the drug charges are found to be true, driving like that on a test drive, on public non-highway roads? The only thing being tested in that case are the boundaries of human idiocy.